Of all the different Sun Numbers, the 5 is the one best equipped to deal with changes. Not only that, 5s thrive on them, because they tend to operate best in an environment that is both dynamic and somewhat chaotic. Sun Number 5s don't do well following a carefully planned path and are much better at responding to the moment. 5s are adrenalin junkies at heart. They love to travel and move about. 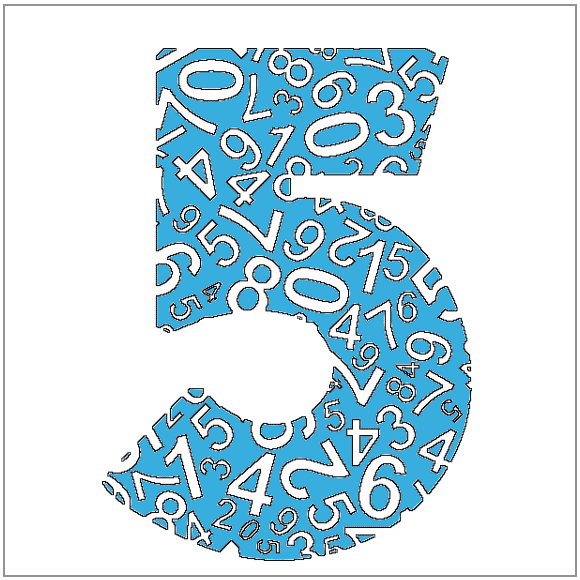 A typical 5 is social, enjoys the company of others, and prefers to take a road they have not driven or walked before, even if that means making a bit of detour. They have a wild streak and lack discipline. This can cause problems in the form of addiction or self-indulgence. When it comes to romance, the 5 Sun Number is the most sensual and passionate of all numbers. In a romantic relationship, the 5 surprises everyone. As wild and adventurous as the 5 is in almost all areas of life, it becomes just as serious and committed when the heart is touched. The 5 is loyal to a fault, and while it is sometimes found on the receiving end of a cheating relationship, it is almost never the cheater. It is, of course, in the nature of the 5 Sun Number to try everything and everyone first, and for that reason, they usually don't become involved in a serious relationship until relatively late in life. But once the heart, as opposed to certain other body parts, is touched, the 5 no longer plays, but becomes a stable, focused and fully matured partner. Nothing bothers a 5 more than being taken for granted, or being limited in any form. Freedom is a 5’s most prized asset, and they will do anything to keep it. 5s are not good at long-term relationships, but when they are in one, they are loyal and fun. Their adventurous personality makes them sensual and they appreciate the good things of life.